Since 2008, it really has become a buyer’s market in events. This year the playing field is levelling out but clients are still very perceptive and are focusing on the bottom line. The infamous ‘venue hire’ which hides a multitude of extras is still thought to be acceptable by many venues, and is like an iceberg. At Merlin Events we have tried to include everything in one package for clients to deliver a fun, memorable event. Of course we have enhancements such as champagne receptions and cocktails, but they are just that: enhancements. Not chairs or rubbish collection fees which many venues charge extra for. Negotiations are a strange game. I try to be as transparent with costs as possible; I just wish clients could be up front with their budget. 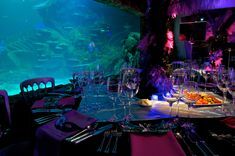 We have a number of very unique attractions with over 100 different event packages which can be adapted to their needs. My team always ask: ‘Have you a budget you’re working to?’ At his point clients normally state that they don’t have a budget. Is this true? Not likely. Are they really just randomly calling venues for quotes with no idea what they are going to spend? At this point we raise a quote and send it the client for them to then come back with: ‘oh! That’s over our budget’. It’s a cat and mouse game that really does not benefit anybody. To give you an example of an efficient enquiry, a client called with a style of event in mind, a budget, and was flexible with date. It was a very challenging budget, however we were able to give her three solutions, saving us time and giving the client what they wanted within budget. The date needs to be flexible: if you want a Thursday you will have to pay rack rate most of the time. Whoever thought Thursday was the best night anyway? Why not try a Tuesday or Wednesday? Clients will have more flexibility and it’s earlier in the week so people are not so exhausted. You may be surprised that more of your clients can attend. If you have a budget range, cut it by 10% and ask for the venues best rate stating your budget. To negotiate you need to give the seller something to work on. Re-think your finish time. Very late finishes just build costs, due to factors such as extra drinks and staffing. Let the party close with guests wanting more. Networking parties, for example, are best kept to no more than 2.5 hours. Go with a drink packages. Unlimited consumption leads to no nasty surprises. 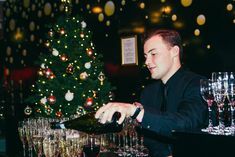 Caterers and venues can take advantage of new event organisers with high cost drinks. In particular, watch out for hotels and bars with free venue hire as they are the worst culprits. Use venues with basics such as furniture and lighting already installed. AV can really add thousands, and for a small budget this is such a waste of your money. Madame Tussauds is still one of the leaders in having all AV built in. Ask to speak to the Manager if you want to really to drive the price. I am always happy to talk and negotiate our best price with you. My team also have the freedom to work with your budget and see how they can make it work in your favour. Book within the magic six weeks. No venue likes an empty venue. This is when you can really drive the cost and negotiate hard. Use venues with strong contacts with caterers, such as resident caterers or short lists. They will be able to drive a better price for you. Try our tips and we assure the process will be a lot smoother and your money will be spent in the right places, meaning you won’t be vulnerable to spending over your budget. Do you agree with our points or are poker sales more your style?